Dubai Roads and Transport Authority’s (RTA) Dubai Taxi Corporation (DTC) has launched its “Al Yamama” initiative where DTC’s taxis will be fitted with smart cameras. These cameras will monitor the movement of the taxi driver and objects in the interior and exterior of the vehicle. 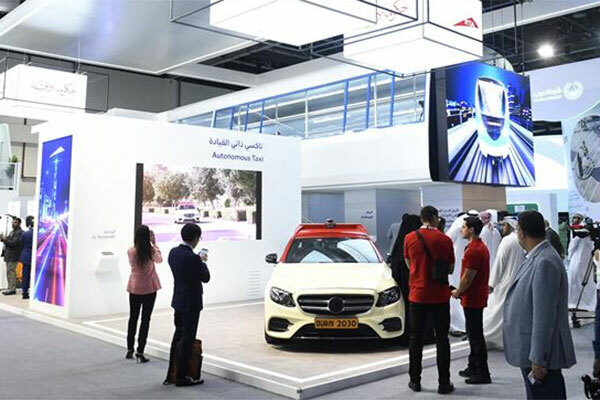 DTC unveiled the initiative at Gitex 2018 as part of RTA’s participation in the event that attracts a large number of visitors, traders and business leaders who are keen to keep abreast of the latest technologies. The project is a pioneering step aimed to enhance the credentials of Dubai as the smartest and happiest city in the world. “The launch of Al Yamama initiative is a quantum shift in harnessing artificial intelligence in the taxi transit service. Al Yamama will enhance the traffic safety through providing accurate information about taxi accidents, maintaining monitoring 24/7, and providing detailed information and reports about the condition of RTA’s assets and facilities,” said Dr Yousef Al Ali, CEO of Dubai Taxi Corporation. “Al Yamama reads billboards and directional signage on streets and identifies prime locations for placing new billboards. It also sends continuous updates about geographical information as well as new areas and roads in Dubai,” he added.